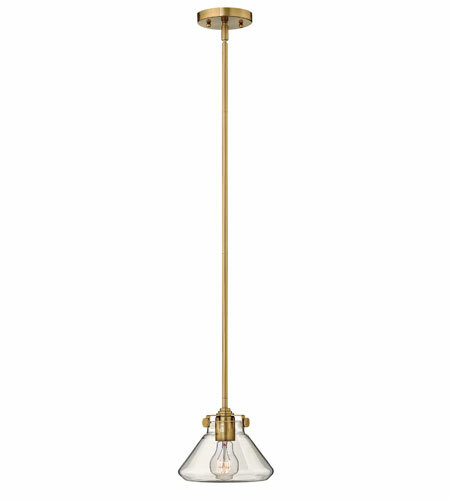 This 1 light Mini-Pendant from the Congress collection by Hinkley Lighting will enhance your home with a perfect mix of form and function. The features include a Brushed Caramel finish applied by experts. This item qualifies for free shipping! Q can this fixture be mounted to an angled ceiling? A The Hinkley Lighting Congress 1 Light Mini-Pendant 3136BC can be mounted on a sloped ceiling as it has a 90 degree swivel.